At BMB Law Firm, we know the financial and mental strain a DWI can cause our clients. Thus, we do our best to eliminate some of this stress by handling the legal implications for you, and possibly even reducing your charge. For first time offenders, our experienced attorneys do their best to opt clients into diversion programs as opposed to more severe penalties. Our staff is well versed in the ins and outs of the legal system, and fully aware of your rights as a citizen. If for any reason for example field sobriety tests were not administered legally or the arrest was without probable cause, we will capitalize on these points. 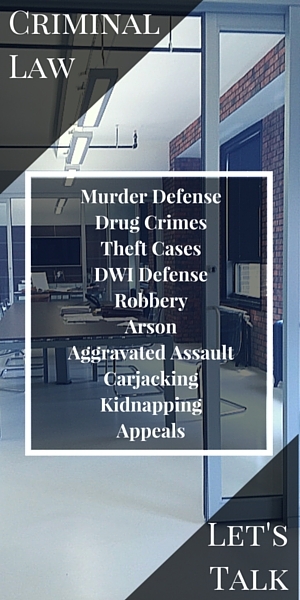 Each DWI case is treated individually, with varying circumstances and different players in the situation. If you or someone you know has been accused of a DWI take action now. This is a serious charge with serious penalties, and should not for any reason be handled without an attorney. For any legal advice or consultation regarding a DWI call us today.